Google’s latest update for Android Auto makes the app available for smartphone users even if their car does not have an interactive in-dash screen. Android Auto is Google’s latest navigation app, which allows users to take over the car’s interface through a Bluetooth connection. Android Auto uses the car’s screen for displaying maps, responding Hangouts messages and even streaming audio and video. Until today, only a handful of vehicles could connect to the app, but now users can download Android Auto through the Google Play Store and use the app just like any other. Android Auto is now available for all smartphone users. Image credit: Android. Whenever users launch Android Auto on their smartphone, they will be met with the same Android Auto interface that appears on the car’s screen. One can configure it, so it launches automatically whenever Bluetooth accessibility is turned on. The app recognizes commands such as “Play Amy Winehouse” or “Take me to the gym,” all of which are also compatible with the car’s Android Auto. “We know there are millions of older cars on the road that are not compatible with Android Auto, and many don’t have a screen at all. We wanted to bring the same connected experience to these drivers too,” stated Google on their blog. The main difference is that Android Auto allows the user to take advantage of the car’s screen, while the mobile app forces the driver to use its smartphone, which is considered illegal in most state jurisdictions. This has been partially solved with the “Okay, Google” voicing which prepares Google apps for voice input. 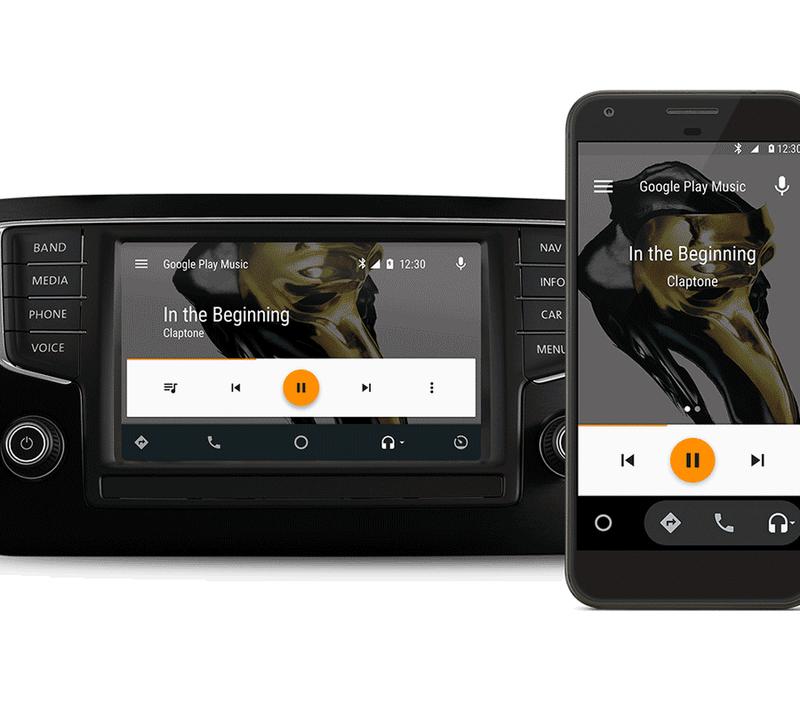 Android Auto also has embedded compatibility with Google Play Music, allowing users to enjoy a repertoire of over 35 million songs. Android Auto is compatible with many third-party apps, such as Pandora and Spotify, but Waze compatibility is yet to be implemented, as it is one of the most used car navigation apps as of today. The Android Auto update was announced earlier this year, and Waze implementation has already been confirmed by Google. Patrick Brady, the director of Android engineering, has recognized Waze’s user base as “very active and very committed,” which would provide Android Auto with a much broader source of input coming from users. So far, Waze has been considered the most important app to be made compatible with Android Auto. It has also been suggested that Android Auto will work on WiFi whenever cars start to implement this type of connectivity, perhaps as a step sideways from Bluetooth for making vehicles integral communication hubs. To enjoy Android Auto on a car’s in-dash screen, it is necessary to own an Android Auto compatible vehicle or obtain a compatible aftermarket stereo, alongside a compatible phone to run the app. Brands that manufacture Android Auto compatible cars include Acura, Audi, Cadillac, Chevrolet, Ford, GMC, Honda, Hyundai, and many others will be added to the roster in the following months. To download and install Android Auto, users need Android 5.0 or better.